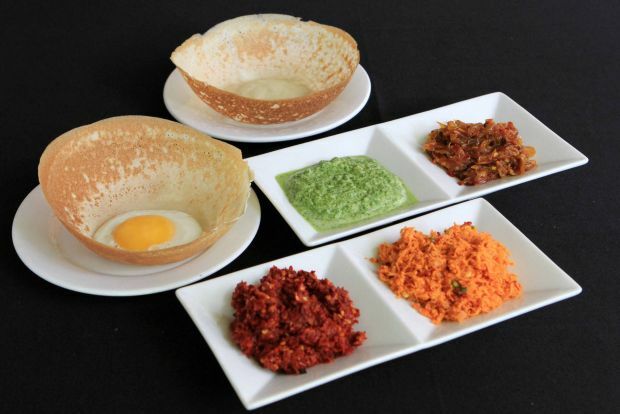 Did you know that Sri Lankan cuisine is quite distinct from Indian? ELEPHANTS have, for thousands of years, held a place of esteem in Sri Lanka. Apart from being fixtures in religious processions today, they have long played a role in the daily lives and history of the Sri Lankan people, and were used in wars, for logging, and as modes of transportation and objects of pageantry. It is not surprising, therefore, that the first Sri Lankan restaurant in Malaysia decided to name itself after the giant land mammal. Aliyaa, the name of the restaurant in Damansara Heights, Kuala Lumpur, means “elephant” in Sinhalese, the language of the largest ethnic group in Sri Lanka. People tend to assume that Sri Lanka – an island nation south of the Indian subcontinent and populated, as well, by Tamils – has a style of cuisine that closely resembles India’s. Well, it does and it doesn’t, according to Aliyaa’s chef, Prashan Fernando. “Although the texture may be similar – curry is curry, after all – there are differences in our ingredients,” says Fernando, 30. He explains that Southern Indian curries, for example, are made with different curry powders depending on the main ingredient. “In addition, the respective fish, mutton or chicken curry powders will also be mixed with other spices, like paprika, too.” Sri Lankan dishes, however, are made with a single curry powder. That is the base; additional spices, such as coriander and cumin seeds, will be added to tweak it accordingly. Aliyaa makes its own curry powder using an assortment of spices that includes fennel seeds, curry leaves, cinnamon and chilli powder; these are toasted and then pounded. Apart from that, Sri Lankan cuisine also tends to be spicy, thanks to the liberal use of black pepper in almost every dish. “I think it is even hotter than Southern Indian food!” grins Fernando. At Aliyaa, however, they appear to be more prudent about the use of chilli as this writer found the spiciness level quite acceptable. In terms of staple food, Sri Lankans also differ slightly from Indians. Simple indulgence:Prashan Fernando loves appam and is quite sure that it is a native Sri Lankan dish. “In some Indian cultures, they may have rice for every meal but we cycle among a few things,” explains Fernando. Breakfast, he says, usually comprises pittu (a steamed cylindrical “cake” made of rice flour and grated coconut) or idiyappam (string hoppers). Only special occasions such as birthdays will warrant the consumption of kiribath – traditional Sri Lankan coconut milk rice, which is a richer version of nasi lemak. Sri Lankans, like most Asians, will have rice for lunch. And when it comes to dinner, they may have pittu again or paratha. The Sri Lankan version of the latter is made of wheat flour that has been folded with grated coconut, cili padi and onions. It is baked and not cooked on a griddle like our roti canai. Accompanying these, an assortment of “sambals” will be served. While that word may automatically connote the red chilli and anchovy paste that we’re used to seeing with our nasi lemak, the definition is much looser in the Sri Lankan lexicon. It may just mean wet or dry chutneys. Says Fernando, sambals are eaten with just about anything. The most famous of these is the katta sambal – a heady, spicy, sourish concoction made of Maldive fish, a kind of boiled and smoked tuna that is sundried until it acquires a hardened, wood-like texture; it is chipped into slivers before use. 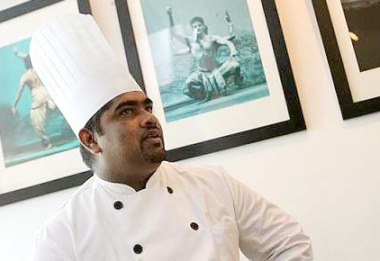 This versatile ingredient is used in a number of Sri Lankan dishes, reveals Fernando. Another famous Sri Lankan export is its mud crabs. Famed for their huge size and tender flesh, the crabs are prepared in four styles at Aliyaa, the most popular being the Colombo style that tastes a little like the the Chinese kam heong style (using fragrant curry leaves). Perpetually in demand at the restaurant, the crabs are shipped from Sri Lanka three times weekly. And although they are priced rather steeply at RM150 per kilo, the restaurant typically sells about 20kg a week. Of all the Sri Lankan dishes, however, Fernando exclaims proudly that there is one that could only have been “born in Sri Lanka”. And that native creation is none other than the plain and unassuming appam. Appam is not something that Malaysians are unfamiliar with – there are, in fact, several variants of the Indian pancake that goes by the Malaysianised spelling, apom. The Sri Lankan appam, however, is one that more closely resembles the sweet, paper-thin apoms with a puffy centre that are sold at many night markets here. “It is something that is made in practically every single Sri Lankan household,” Fernando stresses, noting that it was only in rather recent times that street vendors began selling them and, following that, restaurants. If you ever make your way to Aliyaa, its crispy and bowl-shaped appams with a variety of sambals are must-haves. It goes especially well with pol (coconut) sambal. The appams are made of a fermented batter of rice flour and coconut milk and are available in four flavours (plain, egg, sugar or coconut) for RM6 each. Other than that, Aliyaa’s Mutton Paal Poriyal (RM21) is also a very good choice. The meat, which has been fried with coconut milk until it is dry, retains a tender texture and a savoury taste. For a sampling of Portuguese infusion (Sri Lanka was a colony in the 16th and 17th century), try the oven-baked Lumprais (RM21 to RM30), which is a robust mingling of rice with fried cashew nuts, vegetables of the day and sambal wrapped in a banana leaf. This writer’s personal favourite is the String Hopper Kothu (RM15 to RM28), which is basically fried string hoppers, or puttu mayam. It is incredibly light and airy – being strings of steamed flour dough, after all – yet able to absorb the right amount of flavours from the other ingredients. The taste is slightly reminiscent of Char Keow Teow. From now till Aug 31, patrons can enjoy 20% off all Sri Lankan crab dishes. The restaurant, located at No. 8, Lorong Dungun, Bukit Damansara, KL, is open daily from 12pm to 1am. For reservations, call 03-2092 5378.